There appears to be non-stop news concerning climate change, carbon storage and what we need to do to limit global warming. It is clear that we must improve our chances of reversing the trends and avoiding catastrophic consequences, such as sea level rise and increased ocean acidification that we have been starting to experience. The 2017 document Natural Climate Solutions (NCS) by Griscom et.al reinforces our intuition that change is necessary and there are many paths for action. This NCS strategy gives us a clear roadmap for action including quantifiable justification for our land conservation efforts. The paper identifies strategies in particular focus areas – forest lands, agricultural lands, grasslands and wetlands. Each area has multiple pathways for action that will help us reduce our carbon emissions. We need to acknowledge that improved land stewardship offers the most powerful carbon removal method and as such provides tremendous opportunities to cut emissions. The document identifies that wetlands offer 14% of NCS opportunities to reduce carbon and 19% of the opportunities are at a low cost. While total wetland acreage is less extensive than forests or grasslands, by per unit of area they hold the highest carbon stocks and provide the greatest potential for climate resilience and improved water quality. 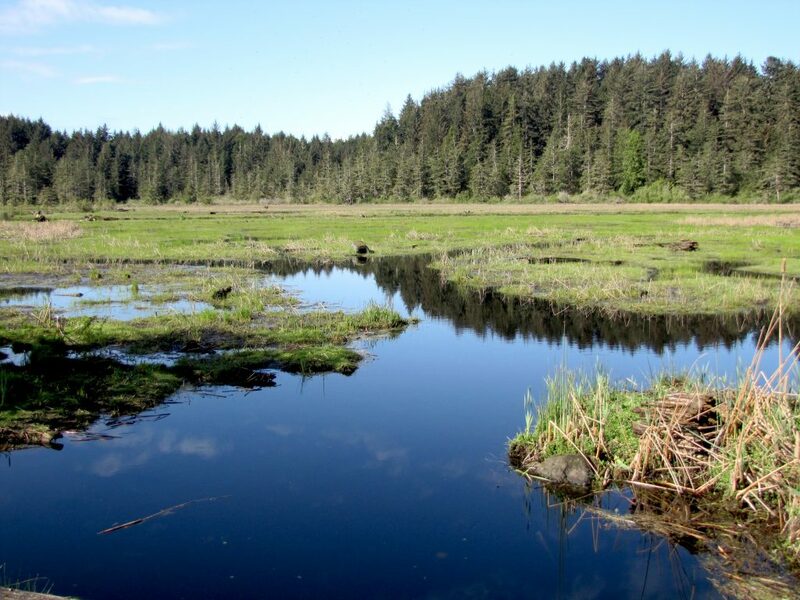 TWC’s Lower Beaver Creek forest and wetland acquisitions on the Central Oregon Coast with Oregon Parks and Recreation and other community members provides a great example of implementing multi benefit Natural Climate Solutions. 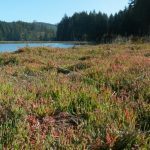 In addition to protecting critical habitat for multiple species including the ESA listed Coho salmon and Marbled Murrelet, these actions also provide carbon storage and landscape adaptability and resilience to climate change. Avoiding wetland loss and the carbon sequestration, water purification and storage benefits that they provide is a lot less expensive than mitigation, creation and restoration actions to replace wetlands and wetland functions that have been lost. It is time to increase our efforts to protect and restore our landscape for current and future generations.